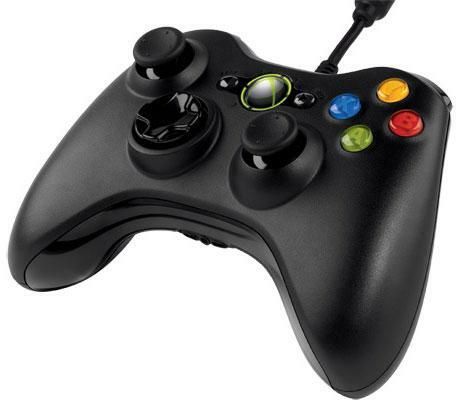 The Xbox 360 Controller for Windows delivers a consistent and universal gaming experience across both of Microsoft's gaming systems. Experience the ultimate gaming experience on Windows and Xbox 360. 1) For PC and Xbox 360 - Works across Microsoft's gaming platforms. 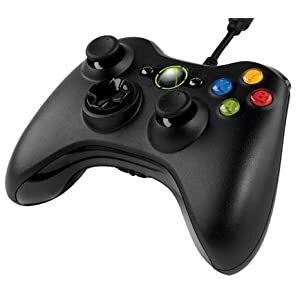 Xbox 360 Controller for Windows works with most Windows 8 PCs and Xbox 360, delivering a consistent and universal gaming experience. 2) Vibration feedback - Get a better feel for the game. 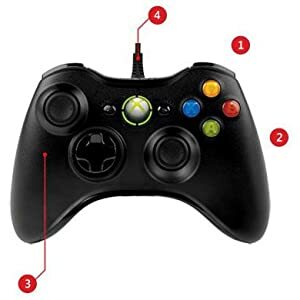 Vibration feedback ensures riveting game play every time (In supported games). 3) Play in total comfort - Compact design provides a more comfortable gaming experience. 4) Flexible cord - The thin, flexible cord was designed to provide the sensation of wireless with all the performance of a wire.